Do you think about insurance the same way you think about your investments? If so, that’s a problem. And you’re not alone. You might be overloading your insurance with unreasonable expectations. A major cause of misunderstanding is customers’ tendency to view insurance as an investment rather than a protective measure. Although, it’s not totally your mistake. Permanent life insurance is often sold as an investment wrapped up in an insurance policy, but don’t be too hasty to sign off on the dotted line on a certain product. There may be better options for you, and far better investments. Hi, I am Insurance and today I am going to burst a lot of myths around myself. It’s worth a read and it will surely help you make smarter financial decisions. I don’t offer good returns – Well, isn’t your primary expectation when investing is to get good returns? Most certainly. To tell you the truth, I definitely don’t excel in this front. The commissions received by insurance agents are enormous, generally around 15 per cent of first year premiums and 7.5 per cent in the second and 5 per cent from the third year onwards. Phew! Given what safe investment earns these days, this commission alone ensures that I am an incredibly bad deal. My suggestion: With bank fixed deposits, bonds, debt mutual funds, PPF, EPF, NSC, etc. your investment amount remains as is, as most of these carry “zero or minimal” charges. Plus money (be it insurance or other bonds) is finally invested in the same debt market and it will earn more or less the same returns. 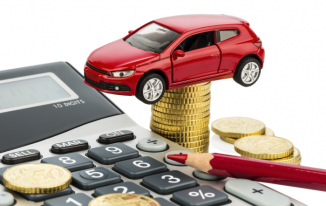 However, as your ‘net invested amount’, after deducting all costs, is lower in insurance, it is but natural that on maturity you will receive a lesser payout as compared to any other investment. You may think insurance is necessary, sure. But the only way to go about it is to calculate how much cover you need and then find a good, low-cost, term insurance. I don’t offer liquidity – Investments ought to be liquid. It’s your money after all and if you are in urgent need of it or going through some crisis, you should be able to get your hands on it. However, I believe in long-term bonds extending as long as 10 or 20 years. And the bond is a strong one, so it’s hard to break. Although if you surrender your policy, I can offer you some part of accumulated corpus. My suggestion: Other investments like public provident fund and other tax-saving investments offer better deals, right from tax exemptions to short period of lock-in and of course the flexibility of liquidity. With these, you will be able to ‘prematurely’ access your money with minimal damage. I prefer complete dedication – When you are forming a long-term bond with me, I demand absolute commitment. You cannot ignore me anytime. If you fail to pay even a single premium over the 10-20 years of policy tenure, I will cancel your policy without giving it any second thought (and I am not lying). My suggestion: Now with other investments, you get ample flexibility. 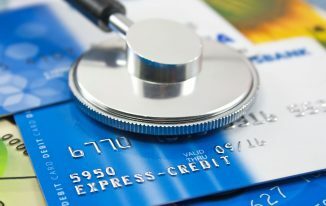 Depending upon your financial health, you can change your annual premium payment. If you are going through a tough time, you could cut down your investment and if your financial health in a good stage, you can always increase your outlay. I am tax-free (or that’s what you may think) – Now one of the big selling points of whole life insurance is the “tax-free” retirement income. What they’re describing is your ability to take out loans against your policy, which are not taxed. This can indeed be an attractive feature of the policy, BUT it comes with SEVERAL WARNINGS. Although there are no taxes, there is interest. When you borrow from your policy, interest starts accruing from day one and keeps accruing until you pay back the loan. And if you are using it for retirement purposes, you will not be looking forward to paying back the loan. In that case, the interest keeps accruing. And the interest applies to all money withdrawn, including your contributions, which were already taxed. So no, there aren’t “taxes” applied, but there is a similar cost. My suggestion: Even PPF and EPF are tax-free. Moreover, even in ‘taxable’ debt mutual funds, with indexation benefit for over 3-5 years, your returns from debt funds too would practically become tax-free.